Always thought the standard limo was too slow? Nowadays it isn&apos;t enough to just ride in a limousine; you have to be able to race in one too. Limo builders have gotten bored with stretching out sedans and have turned their attention towards speedier automobiles. The resulting limos provide all of, or nearly all of, the comfort of their slower cousins while also giving you the ability to race should the occasion arise. We&apos;ve gathered a few examples of this emerging niche and we have little doubt that there&apos;ll be more to come in the very near future. 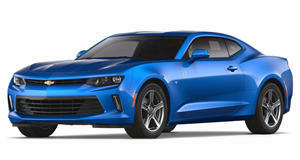 Many of these speedy stretch limos are foreign-built, but the Chevy Camaro Limousine is one that hails from the good ole USA. This all-black limo with an interesting interior is selling for the bargain basement price of $30,000. The price could be indicative of the quality that went into creating it, or just a sweetheart deal for those wanting a limo that could transform at any moment into a robot. Britain&apos;s Limo Broker created quite a stir when they showed off their conceptual Audi R8 limo. 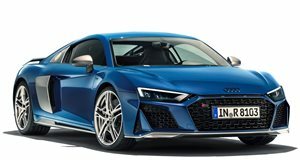 The R8 stretch exists only in conceptual photos as of now, but if it were to come to life, it would feature the same 5.2-liter V10 that propels a regular R8 to a top speed of 196mph at 528hp. The stretch Ferrari 360 Modena is the fastest limo in the world with a top speed of 166mph. This massive prancing horse is valued at $400,000 and can seat up to seven people. Limo Broker, this is how it&apos;s done. If $400,000 for a limo is too rich for your blood but you still want to be pulled around in a prancing horse, then you want the "F40" stretch. This wonderful knockoff was created in Japan and is powered by a 1.6-liter engine. Sometimes it&apos;s what&apos;s on the outside that counts.